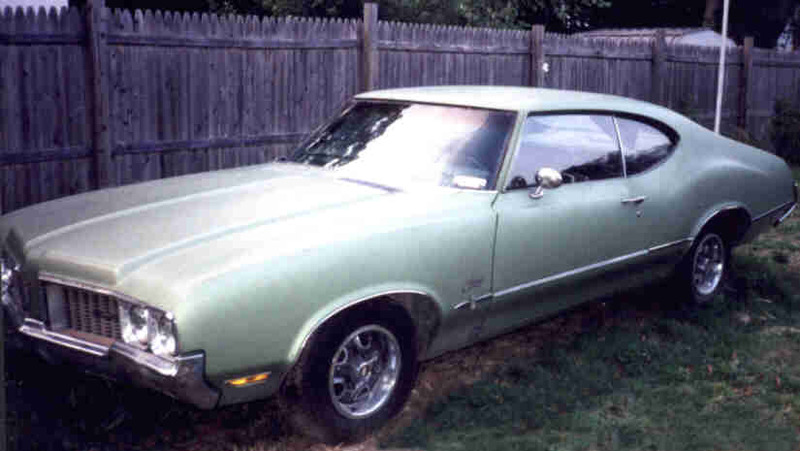 1970 Oldsmobile Cutlass S 2 door hardtop. Currently Aspen (light) Green with green interior, it will one day be Azure (sky) Blue with blue interior and a 4 speed transmission. Currently a 350 2 barrel automatic, it has trouble backing up! I have a parts car with the 4 speed, FE2, and blue interior that will be reborn in this car! I did run 16.80/80 with 24560-14 rear tires....no bad for a 350 2V I guess.